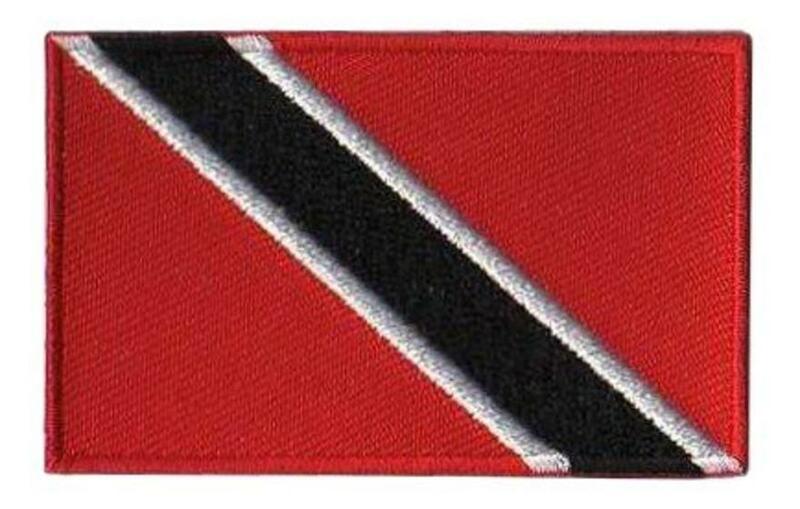 The flag of Trinidad and Tobago consists of a red base with an off centered black diagonal stripe originating in the top left corner and running across the flag. The black stripe is bordered on both sides. 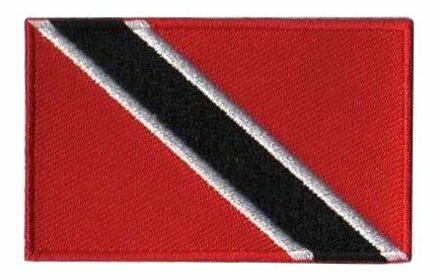 Meaning: The red base represents the vigor of the land in Trinidad and Tobago, the friendliness and courage of its people, and the sun. The black represents the unity and strength of the people, as well as the natural wealth of the country. The white represents the surrounding sea and the purity and equality of all people under the sun. Together, the colors represent earth, water and fire, which connect the nation's people to the past present and future. History: The flag of Trinidad and Tobago was adopted on August 31, 1962 when Trinidad and Tobago gained independence from Britain. Interesting Facts: The flag was designed by the Trinidad and Tobago Independence Committee in 1962 (source: worldflags101).